Musculoskeletal pain is pain that affects bones, muscles, or the various types of connective tissues that hold the two together, such as tendons and ligaments. This type of pain can occur due to overuse or repetitive use of muscle groups, improper use or accidents such as falls, etc. and can persist for a long time, causing discomfort to the patient. The consistent discomfort caused by musculoskeletal pain has made it a key category of the global healthcare sector in recent years. Improper posture is a key cause of musculoskeletal pain, as consistently sitting/sleeping in irregular positions can cause significant long-term damage to muscles. Thus, the rising prevalence of a sedentary lifestyle, particularly in developed economies, is a key driver for the musculoskeletal pains market. Dynamic developing economies such as India, China, and Brazil have also started witnessing the effects of a large-scale adherence to a sedentary lifestyle, as the corporate sector in these countries is exhibiting a steady rise, aided by the entry of several multinational companies and government support to the development of the IT industry. The main component of musculoskeletal pain treatment is behavioral rather than pharmaceutical. Thus, the increasing interest of citizens across the world in maintaining a basic level of fitness is likely to be a key factor in reducing the prevalence of musculoskeletal pains in the coming years. Physiotherapy is also likely to be a key component of the global musculoskeletal pains market in the coming years due to its noninvasive nature and reliable efficacy in pain management. Musculoskeletal pains refers to the acute or chronic pains of soft tissues or organs, which can be caused due to an injury, falls, jerking movements, falls, sprains, fractures, dislocations, and overuse of the organ. For instance, lower back pain is a common work related musculoskeletal pain that is caused due to prolonged immobilization or poor posture. Localized or widespread pain, stiffness of the body, fatigue, lack of sleep, twitching muscles, and burning sensation in muscles are some of the common symptoms of musculoskeletal pains. Depending on the location of pain, musculoskeletal pains are of different kinds including bone pain, muscle pain, tendon and ligament pain, fibromyalgia, joint pain, and tunnel syndromes. Bone pains, which are majorly caused due to injury, is the most common type of musculoskeletal pains, followed by joint pains, which is frequently associated with rheumatoid arthritis. Musculoskeletal pains treatment includes various methods such as physical and occupational therapy, heat or cold treatment, acupuncture, strengthening, and conditioning and stretching exercises. Although there are no medications currently available for the treatment of musculoskeletal pains, some of the medications recommended to relieve the symptoms are: acetaminophen, NSAIDs, opioids, and neurotransmitters. The global musculoskeletal pains market is projected for a robust CAGR during the forecast period of 2017 to 2025. 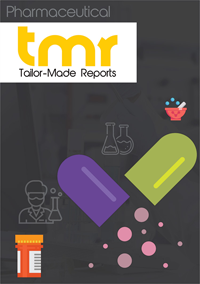 This report is a comprehensive analysis of all the factors that are expected to impact the growth rate and also profiles some of the key players to reveal their market share, product portfolio, and latest developments. Research and development activities by several musculoskeletal pains market players to find drugs that can be used to treat musculoskeletal pains is the primary driver of the market. For instance, one of the major players Nordic Bioscience A.s in collaboration with Novaratis AG has developed the drug by the name calcitonin. Currently, the drug is under clinical trial phase three and is predicted to be highly beneficial for the treatment of musculoskeletal pains and thereby boost the market. Hydrocodone bitartrate, bupivacaine transdermal, prednisone, and clibranopadol are some of the other under train drugs. However, side effects such as nausea liver and kidney damage, acid-peptic disorders, and irritation of gastric tract associated with these drugs are restraining the market expansion. Geographically, the report segments the global musculoskeletal pains market into the regions of North America, Europe, Asia Pacific, and rest of the world. Currently, North America contributes to the maximum demand due to robust healthcare infrastructure in countries such as the U.S. and Canada. However, Asia Pacific is expected to rise at the strongest CAGR during the forecast period due to the presence of vast population and improving healthcare facilities in several emerging economies such as China, India, and Japan. Apart from Novasratis AG and Nordic Bioscience mentioned above, some of the other major market players in global musculoskeletal pains market are DURECT Corporation, Zogenix, Inc., Dainippon Sumitomo Pharma Co., Ltd., BioDelivery Sciences International, Inc., Pfizer, Inc., Collegium Pharmaceutical, Inc., Teva Pharmaceutical Industries, Limited, Chelsea Therapeutics, Inc., TransPharma Medical, Ltd. and Purdue Pharma L.P.